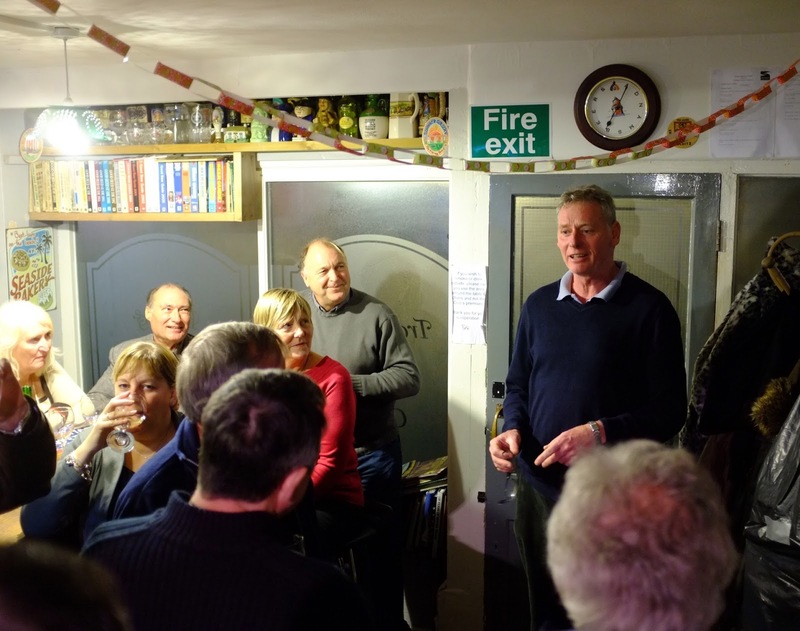 I seem to be in the local micro-pubs so regularly this week that people may start to talk! 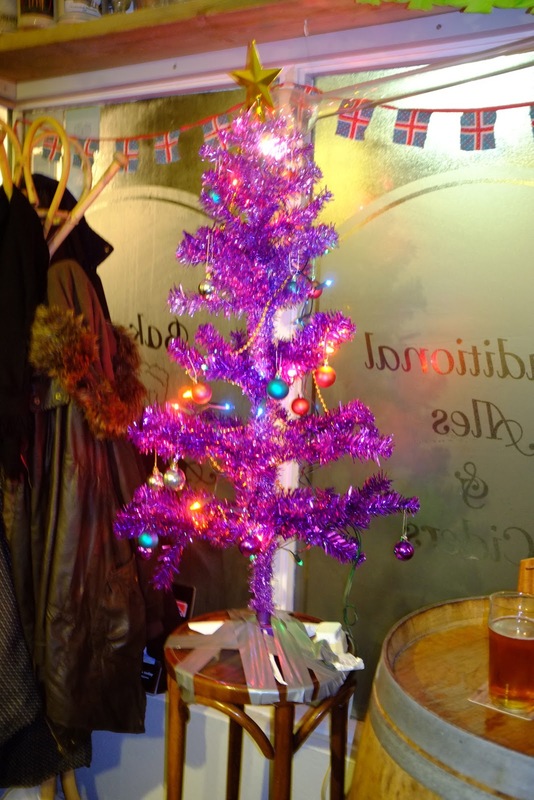 On this occasion, it was for the switching-on of the enormous Christmas tree in the very small Bake & Alehouse behind Westgate's Carlton cinema. This time as I was walking, I chanced a half pint of 'Snow Top' as the 'Ravening Wolf' was off. Unfortunately, Brad and Angelina weren't able to drop-in from their busy filming schedule to turn on the lights but nobody noticed and Peter, the landlord (pictured) gave a short speech of welcome before the Christmas cake was wheeled-out. I wasn't sure I would have room here to show a photo of the tree, borrowed from Trafalgar Square, but I'm sure you will agree it's magnificent and a good time was had by all. This morning, I had an email from a local resident who appears to be under the impression that a Tesco Metro in Westgate is a 'Done deal' with the Council. I can assure readers that this most certainly isn't the case and there is a process that is about to begin which is completely transparent and which will end with the application coming before the all-party Planning Committee, which people will be free to attend, as I have called in the application. I hope that's clear to all. I will be keeping readers informed of dates and other news and will of course be speaking to the Westgate and Westbrook Residents' Association and traders on a regular basis. I'm awfully behind with my Christmas cards this year, being much busier with work than usual. I've popped-up a quick card to all my readers on the sidebar, wishing each and everyone of you, trolls and politicians included, a wonderful Christmas. The talk of permission being granted for Tesco has been going around from as far back as June if not before. Its not on the agenda for Wednesday's Planning meeting so it'll be January at the earliest. As I recall, the talk was that Sainsburys was a done deal too and see how that turned out. With Planning, never say never! Whilst talking about "done deals", you supported Ian Driver in his motion to have Pleasurama openly discussed, you were also on the cabinet committee which approved amendments to the project in 2009, so you must have a good working knowledge of this project. Do you have any useful comment which could shed some light on the way forward to this sorry tale? Not sure what you really want me to add. The difference between Cllr Driver and me is that I respected commercial confidentiality and council process and seconded a motion for debate very similar to his own. Certainly, I approved amendments with my own reservations expressed in 2009 and those same reservations re-appeared more recently when I pointed out to cabinet certain deficiencies that were cause for scrutiny. I would argue that Cllr Driver then picked-up the same and ran with it. I assume you are not able to share your reservations with us because of commercial confidentiality, but can you assure the general public that there is no inappropriate involvement of any members of the council in this project? I'm unsure how a conversation about Real Ale turned into a debate over Royal Sands. Much, if not everything that I'm aware of has been shared in some detail on Michael Child's website. If I recall correctly and without looking at past papers, my concerns over the company.. ie a hotmail address for the company secretary and more played a part in Councillors demanding more aggressive due diligence at the time. This re-appeared more recently in the Labour cabinet meeting earlier this year, when I used my iphone to correct errata and both Chis Wells and I both raised objections that persuaded Iris Johnston to insist the deal should be examined with more attention to detail and the record of the company involved. I'm pleased that pressure is now being applied to ensure that this matter is dealt with absolutely correctly and in the public interest and I would have it no other way. Glad to hear you are on the side of public interest in this matter. 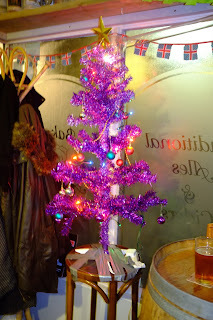 Have a good Christmas and a few jugs of real ale! Just one other question, what sort of computer were you using in 1896 when you started your Thanet Life weblog? Simon apologies for the dreaded P word getting on to you blog this week, but it is plastered all over Friday’s Gazette and you are assumed to be Metatron – the web voice of the Conservative group – in Thanet, so I suppose it is unavoidable that important local issues should appear here. It is looking increasingly as though the “more aggressive due diligence at the time” wasn’t aggressive enough, mainly because the Swiss bank SBP that was SFP’s bank and underpinned the supporting documentation, ceased to exist several months before the decision 2009 was made. Frankly here in Ramsgate with two Labour cabinet members ward councillors for the ward the development is in, we should be getting considerable and informed councillor explanations on this one, but we are just not. There really are no Conservative councillors left in Ramsgate who we can ask to assist in the way that we would ask opposition councillors to do, when as in this case we are concerned the council is may sell the family silver off cheap and land us in another fine mess. Now Cllr Driver has put his neck on the line over this one and I guess he will soon be decapitated, however this action has given him considerable local support, so hows about giving us lot in Ramsgate a bit of help with this ongoing disaster and spilling some beans? The computer was a Babbage Mark One....it took up rather alot of desk space.. It's almost sad to recall that manufacturers used, once upon a time, to 'give me' the first of everything to pay with and frequently keep and that Clive Sinclair and I both patronised Draycott's wine bar in Chelsea. Ah Simon a bit like your 15 ton Mk 1, had it ever been built I guess there would have been much hope of light at the end of the cams. I don’t think the can of worms is the worst aspect from the council’s point of view, I think it is the ongoing liability that the council signed up to, for maintaining the surrounding infrastructure for the life of the development. I guess sooner or later though one of the groups is going to have to put their hands up to one issue or another and say. “We made a mistake.” Raising the question. Will the electorate shoot the envoy? That said the decision was made against officer advice in 2009 and the reasons for going against this advice, begs some questions. Perhaps I should remind you that it was the spirit of hope that remained in Pandora’s box. I've got it now you had drunk one too many jugs of real ale when you wrote your title block. We are told that Cllr Poole and the Chief Executive will be negotiating on our behalf. Can you tell us what faith you have in either of them having the experience or the ability to deal with such matters? As a contract between each group and its members? I have confidence in the ability of the Chief Exec if that answers your question. I wish I could agree and I hope your confidence isn't misplaced. I would prefer someone with just a little experience rather than a bean counter. No I am lying. I would like to see someone with a lot of experience and in possession of all the facts. We will have to see what happens. I am not holding my breath. It's a done dealt for the same reasons Hart and Co wouldn't support you and Driver and for reasons we are not being told possibly by either of you. 'Pandora's Box' in your words.